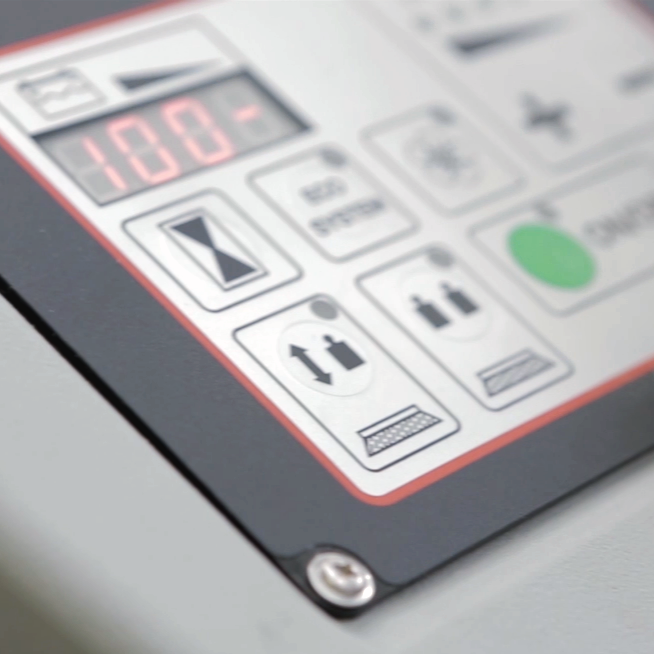 The revolutionary M1000 has changed the rules. 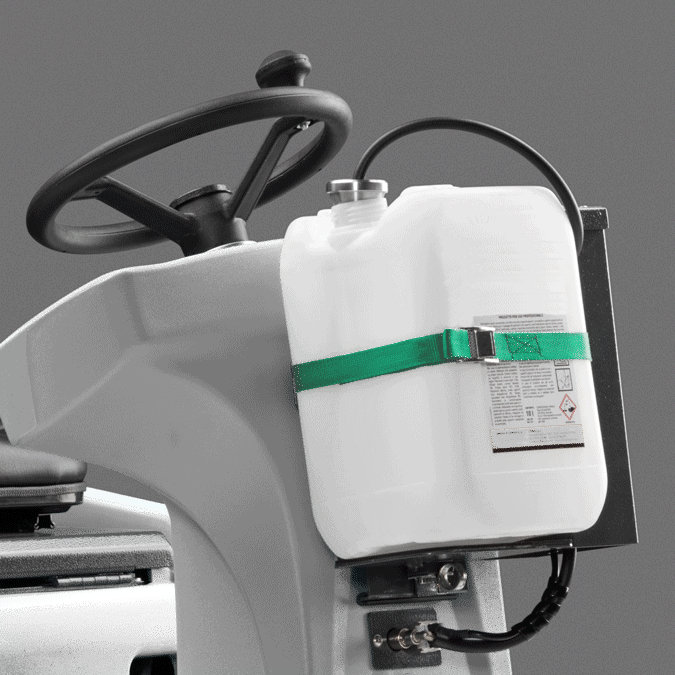 Replace bulky tanks with an intelligent recycling system that boosts solution tank capacity by up to three times. 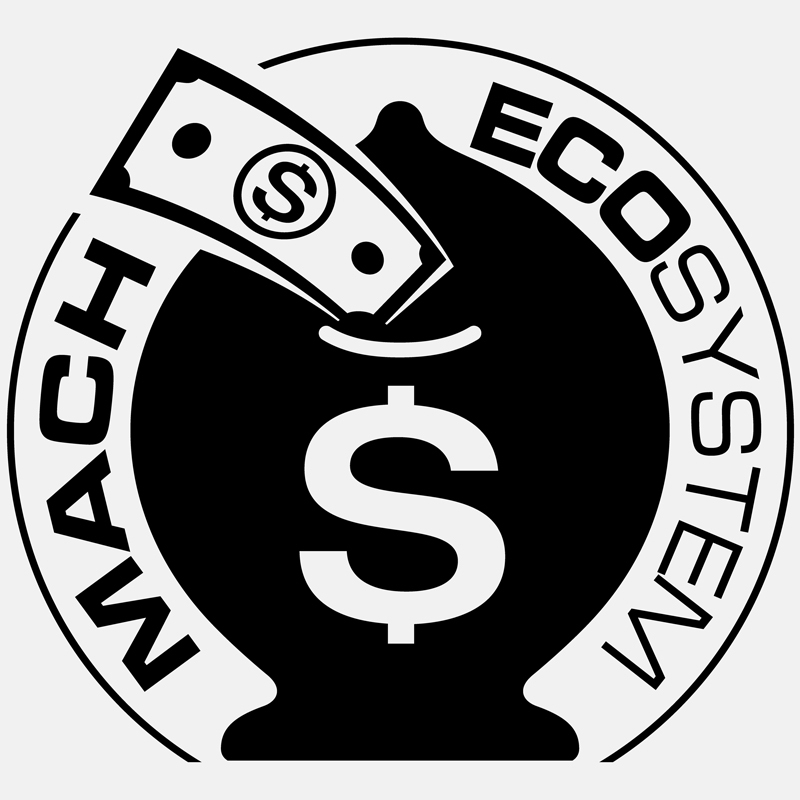 The MACH ECOsystem® recycles water and chemical during operation, maximizing productivity and reducing both the cost and environmental impact of cleaning. 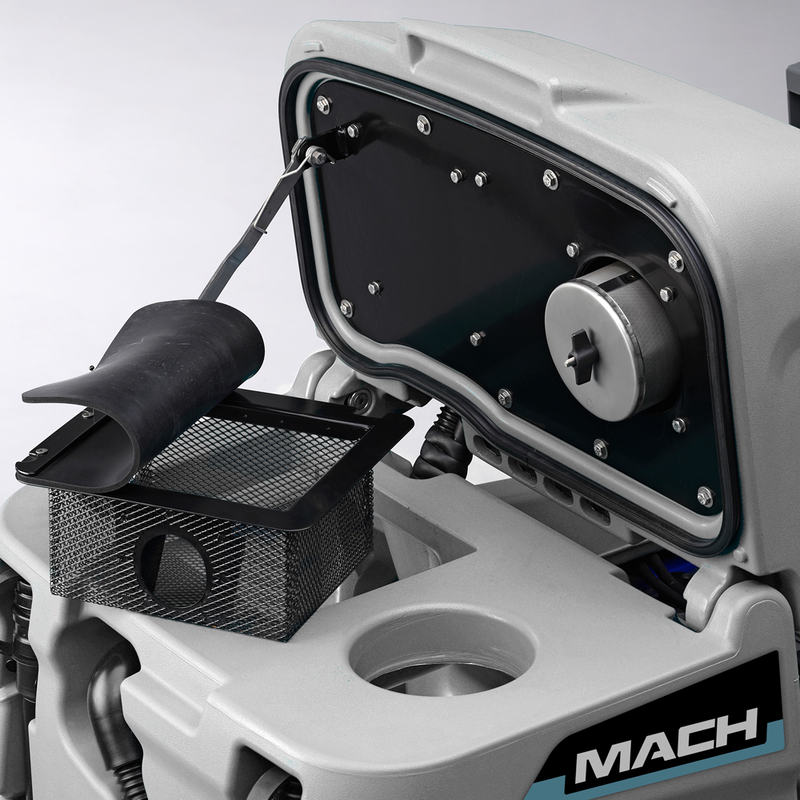 Increase uptime and extend productivity with the 96 cm / 32” M1000, a powerful ride-on scrubber equipped as standard with MACH’s innovative ECOsystem®. 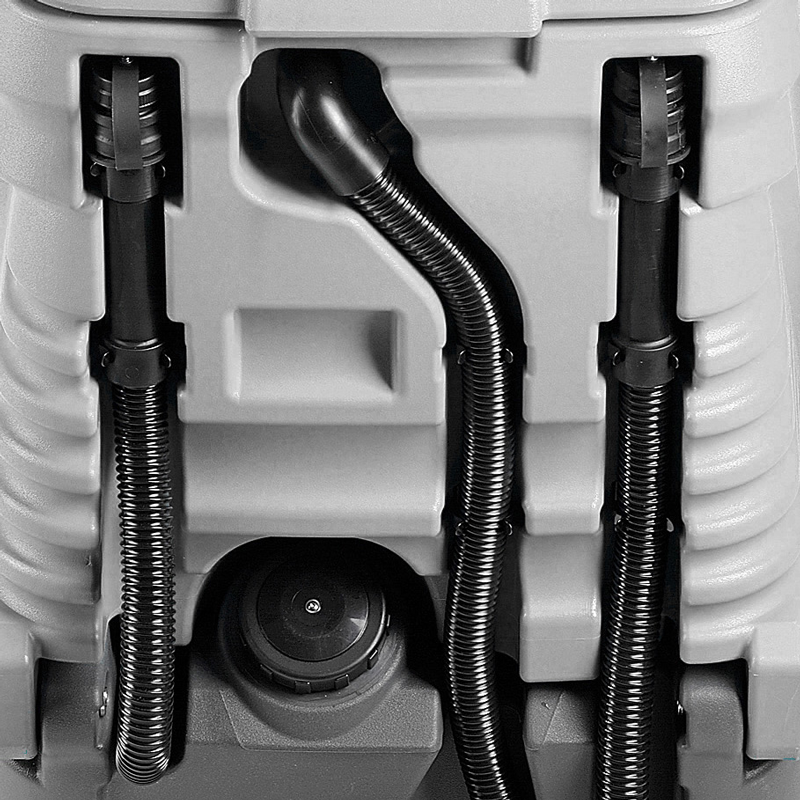 This patented technology recycles water and chemical to boost cleaning capacity up to three times on a single 120 litre / 32-gallon solution tank, guaranteeing significant cost, water, detergent and labor savings whilst reducing the environmental impact of cleaning. 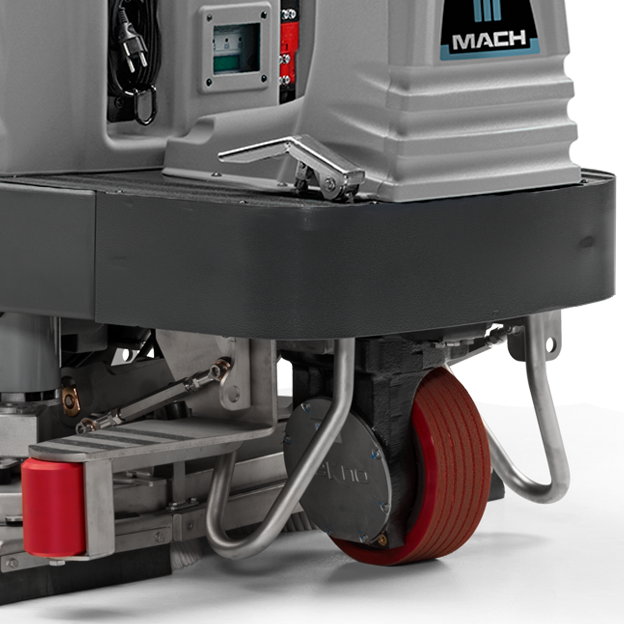 The M1000 has changed the rules of cleaning, replacing bulky machines and large tanks with an innovative solution that is compact and maneuverable without compromising on capacity or productivity. The M1000 makes the impossible, possible. 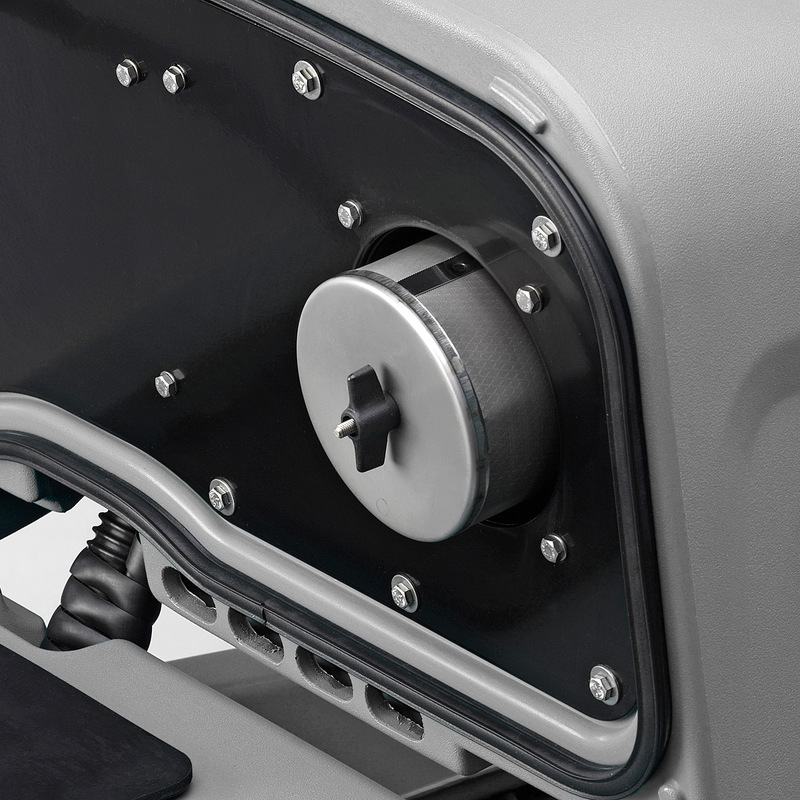 You can trust our manufacturing process that uses top quality materials and components, ensuring the M1000 is robust and reliable, always ready for even the toughest environments. 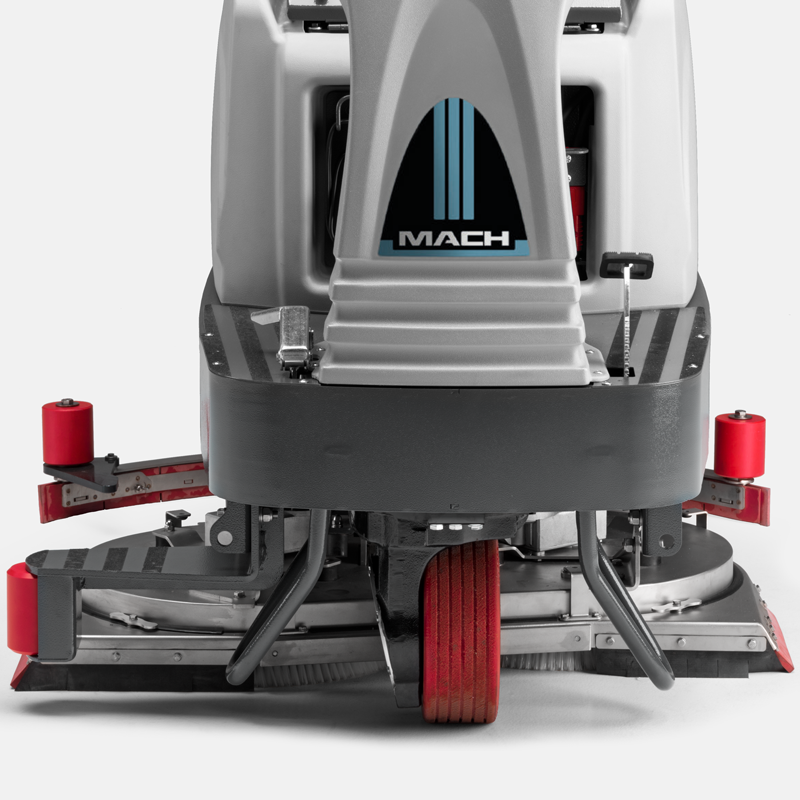 The 96 cm / 32 in cleaning path provides an impressive cleaning capacity of up to 7,200 m²/hour or 77,500 ft²/hour, delivering incomparable productivity and dramatically reducing the cost of cleaning. 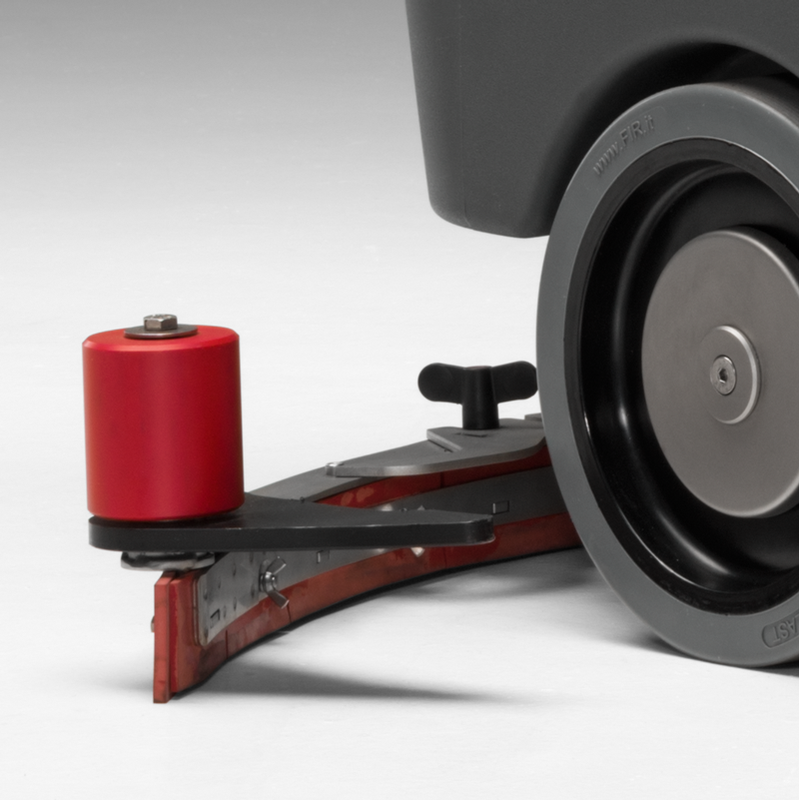 Durable stainless steel scrub deck with an overall a cleaning path of 96 cm / 38” delivers incomparable productivity. 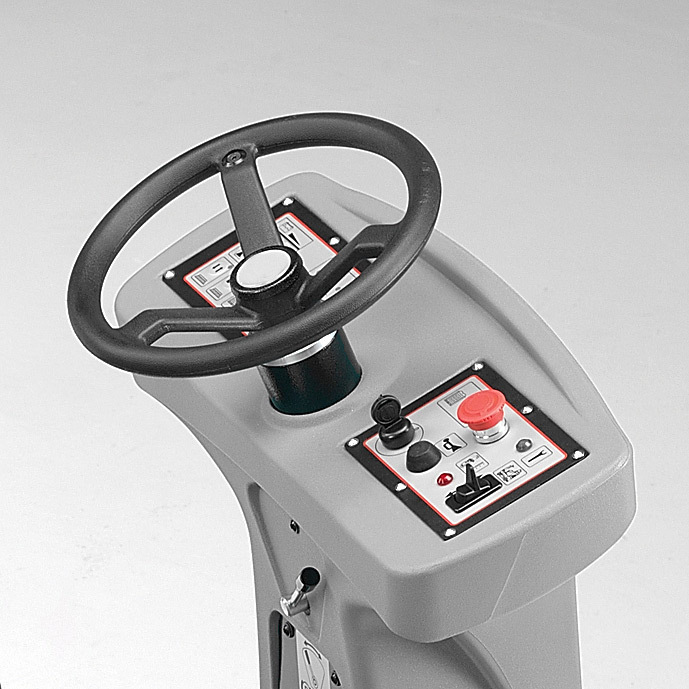 Multi-function control panel, equipped with easy one-touch controls and a quick start button. Long life battery for maximum running time, can fit battery pack up to 300 Ah. 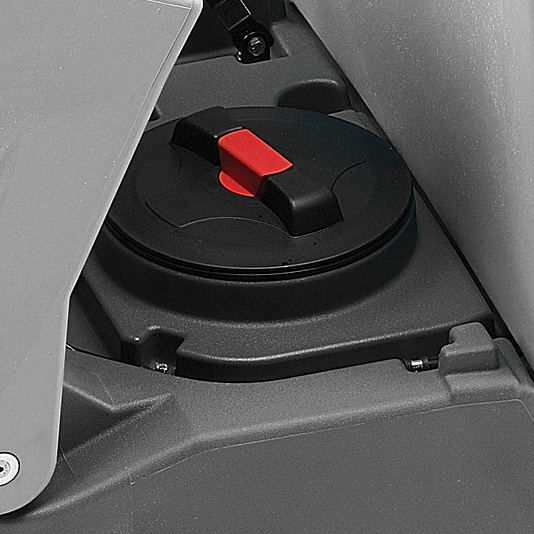 Full access to battery for easy maintenance and onboard charger. 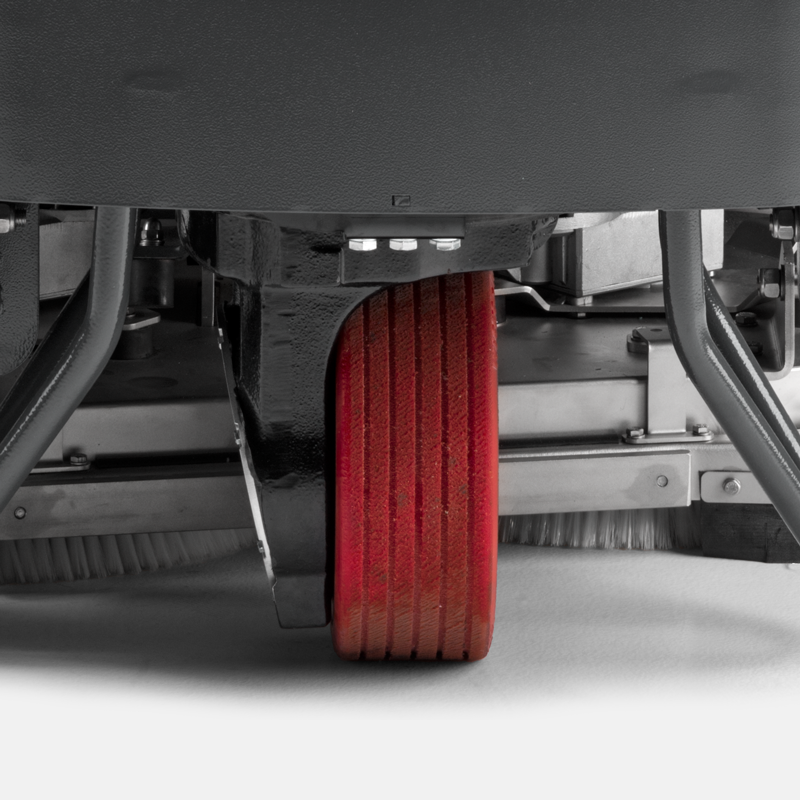 The powerful vacuum motor and adjustable stainless steel squeegee ensure maximum water and dirt removal pickup guaranteeing a clean, dry floor that is ready for traffic. 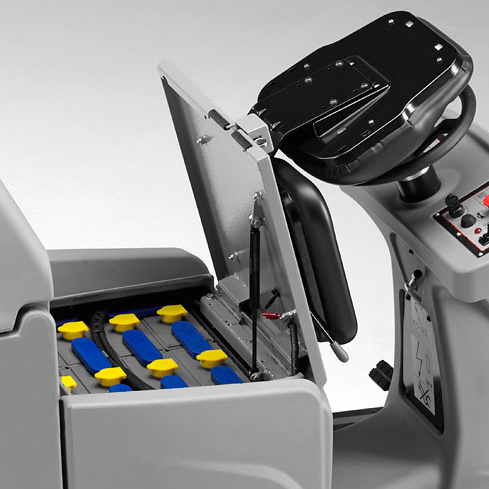 Use up to 50% less chemical, saving money and improving productivity. 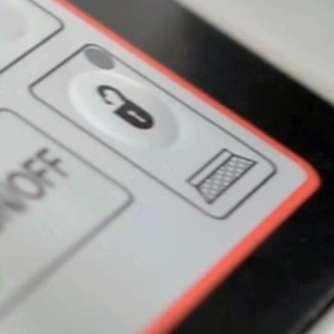 Immediately adjust the amount of detergent and eliminate operator contact with chemicals. System interchangeable with M650, M750, M830 and M850. 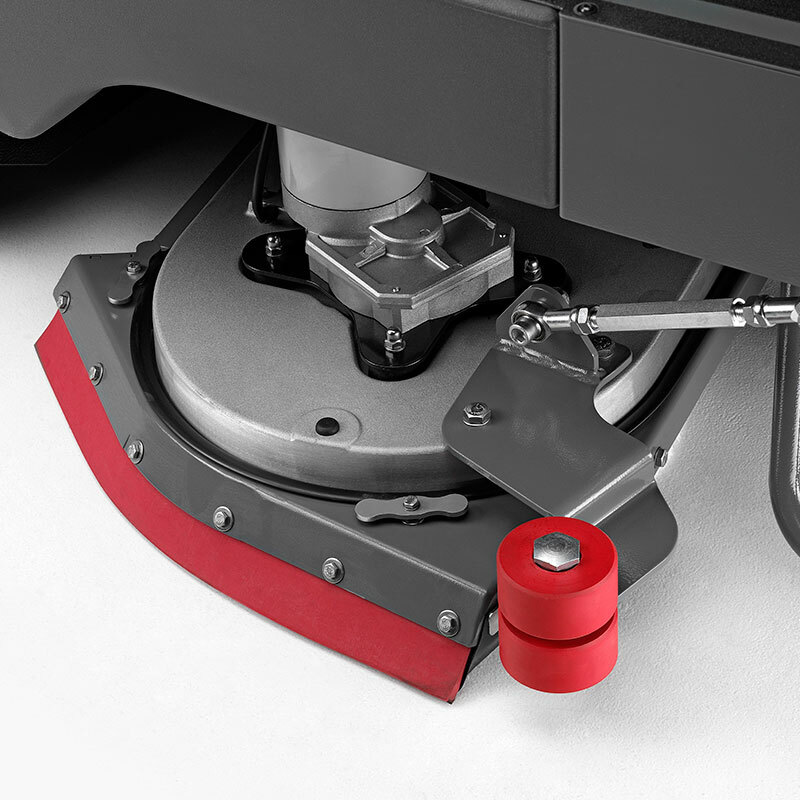 The M1000 is equipped as standard with a stainless-steel scrub deck and squeegee, providing enhanced resistance to the corrosive action of aggressive detergents and humidity. In the Chrome version, also the frame is in stainless steel.